Summer is in full swing and the last pups from the spring litters are heading home now. 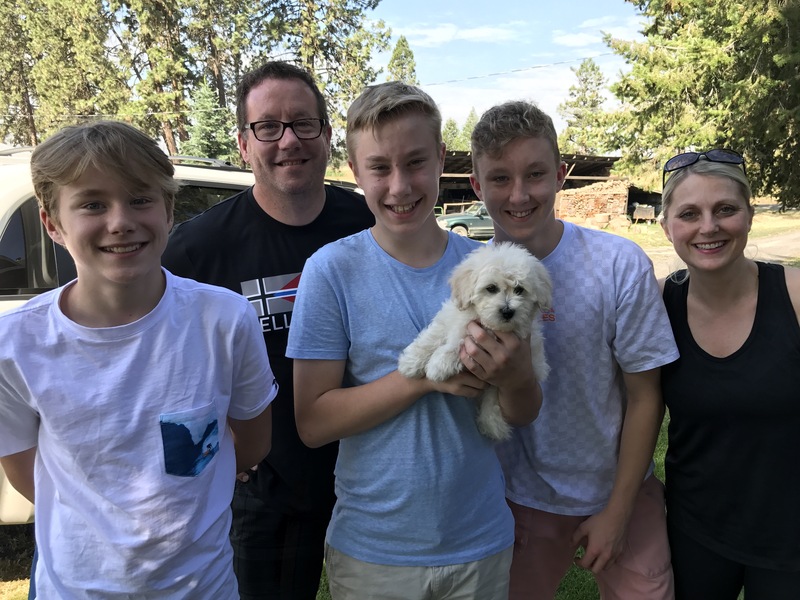 I love meeting the families and seeing the moment when they first see their puppies! It’s fun to see how the puppies react as well. 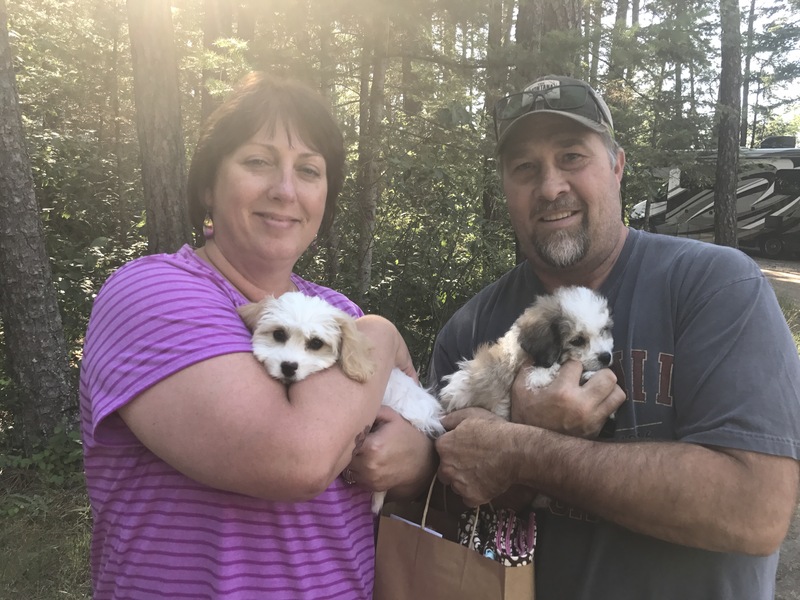 Here are the most recent puppies that have gone home! This munchkin “Snickers” flew with his family to the Bay Area today. He was giving me the side eye while we were driving in my hot car to the airport today. He was a surprise for the 12 year old daughter, and the video they shared brought me to tears. I hope I can figure out how to post it here because it’s priceless!! 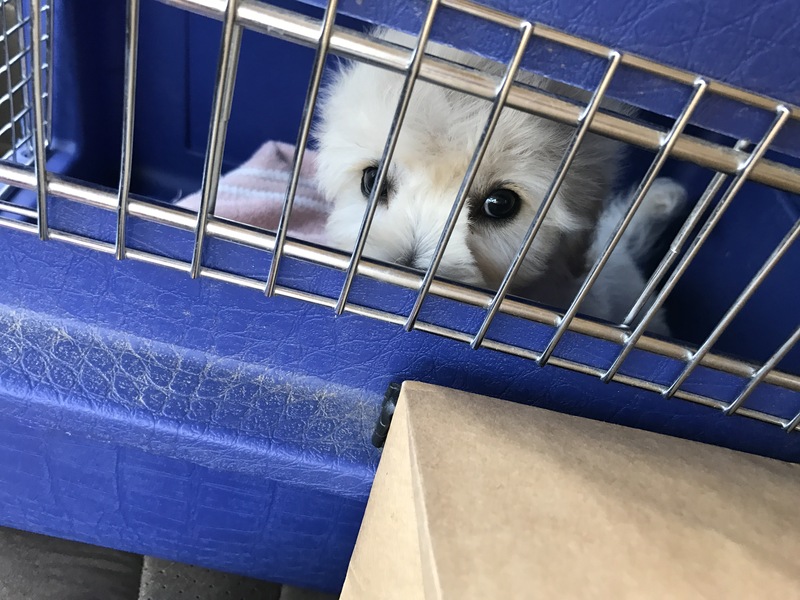 This pup also went home today. His family came down from Canada and I think he’s going to be a perfect fit for all those teen boys. He is a bundle of personality and I think he will keep everyone on their toes! These two puppies went to Montana and I was able to hand deliver them!! I trust things are going well for everyone! We have 4 more puppies here that will he going home in the coming weeks. We also have 2 new litter and more pregnant mamas, so now is an excellent time to get on the waiting list!! Send us an email at silverpawcavachons@gmail.com for info about our puppies!! 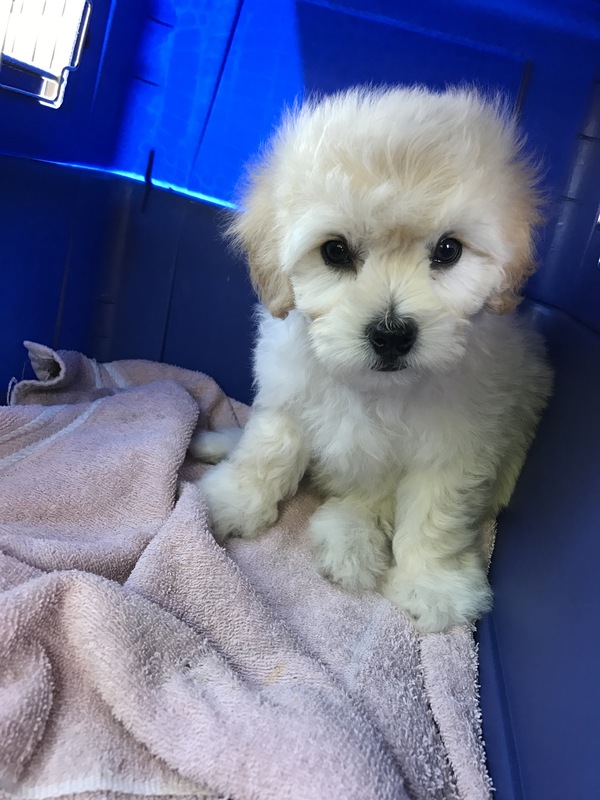 This entry was posted in Adopted Puppies, Cavachon, Delivery. Bookmark the permalink.